Dr. Oz believes that inflammation, allergies and hormones play a huge roll in weight loss and eliminating fat. As a result, this two week wonder diet focuses as much on what you don't eat as what you do. The "don't eat" list is pretty intimidating. You can't eat/drink dairy (except Greek yogurt, which is far too trendy to avoid), alcohol, diet sodas (or anything containing artificial sweeteners), processed foods or wheat. Bam! Take these few foods and beverages out of your diet and your inflammation should subside so that your body can lose weight. The "do eat" list is pretty prescriptive, too. You get 4 ounces of protein in each meal, as long as that protein is fish, chicken, turkey or eggs. You get a half cup of carbohydrates a day, as long as those carbs are quinoa. Yes, that is the only carb permitted with the Total 10 Diet. Hope you grow to love quinoa! 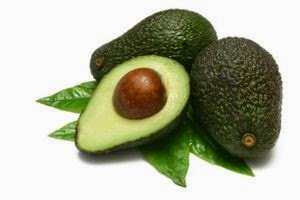 You are allowed limited amounts of "good" fat every day, so you can snack on olives and avocados. And (brace yourself) you are allowed unlimited amounts of non-starchy vegetables and vegetable broth. Woo hoo! The plan also permits up to two snacks a day, as long as the snacks are on the approved list. Oh, and one cup of coffee a day. For many people, this is a deal breaker. There is good news, too, on the support front. The Total 10 Diet Plan is pretty completely described on the Dr. Oz web site, including recipes and frequently asked questions. That avoids a different kind of weight gain: diet book bloat. Everything's on line for easy reference. Thank you Dr. Oz! After 10 days, Dr. Oz says that you should be lighter and feeling better. His plan includes a "rest of your life" diet plan, too, so that you don't immediately regain the lost weight when you go back to your bad eating habits. Have you tried the Total 10 Diet? How did it work for you? Click on the Comment button and share your story! This is a nasty diet. I hate it. You forgot to mention that you can't eat anything for 12 hours. Between 9pm to 9am.